Low cupboard in solid teak. Quadrangular body opening at the front by two double doors mounted on brass hinges. Ca. 1957-1958. Solid Teak, brass Chandigarh. 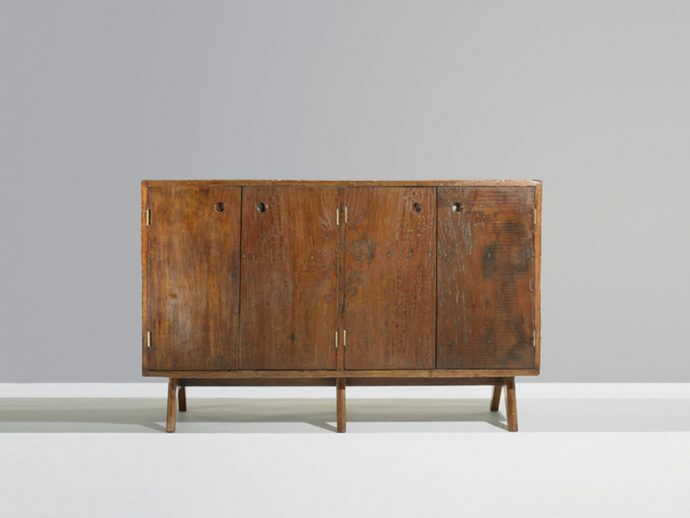 Pierre Jeanneret designed together with Le Corbusier a new capital in Chandigarh. In the 1950es they created a vision of new living. Great desk from Chandigarh in Paris.